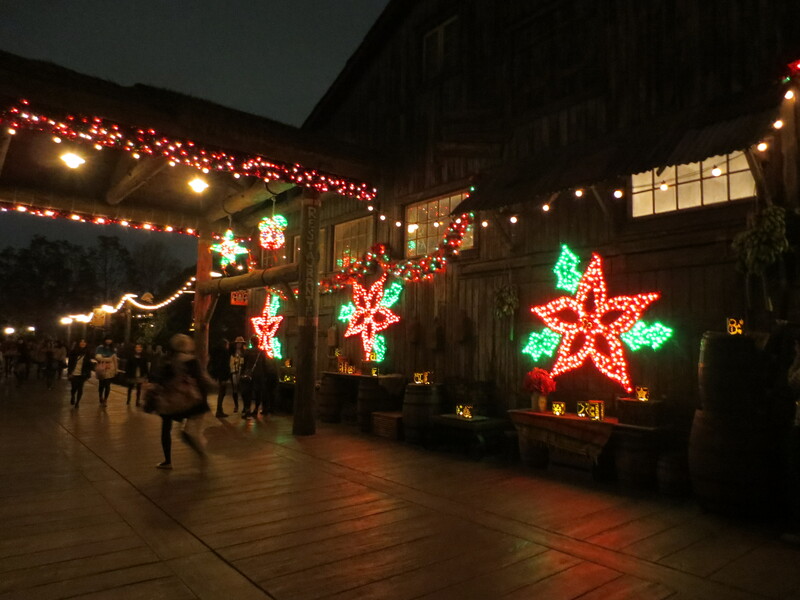 A couple of weeks ago I wrote about the Christmas decorations and merchandise at Tokyo Disneyland. 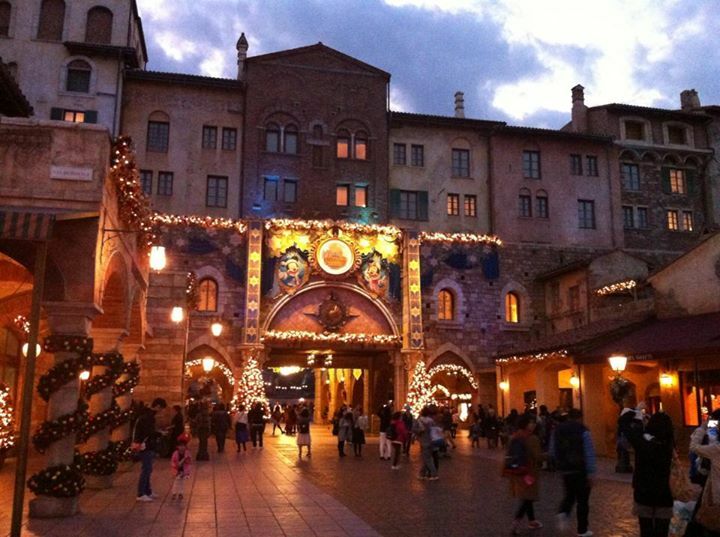 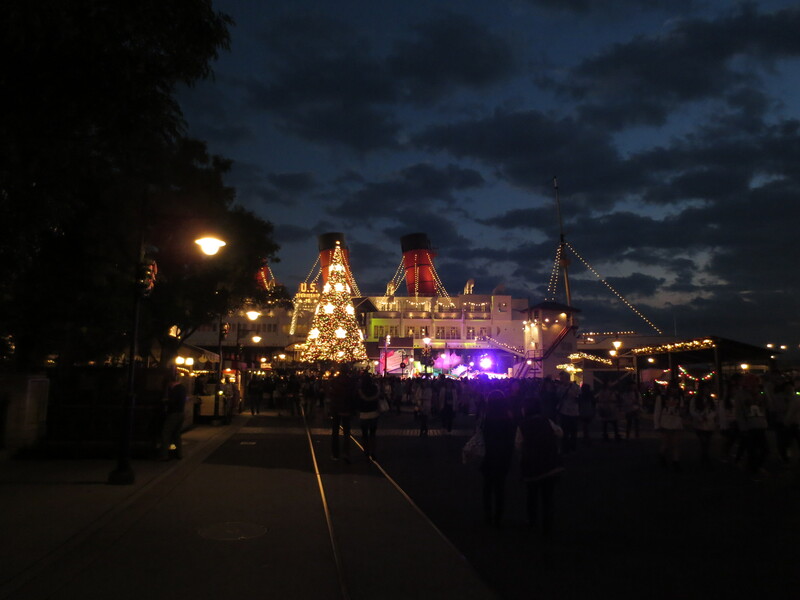 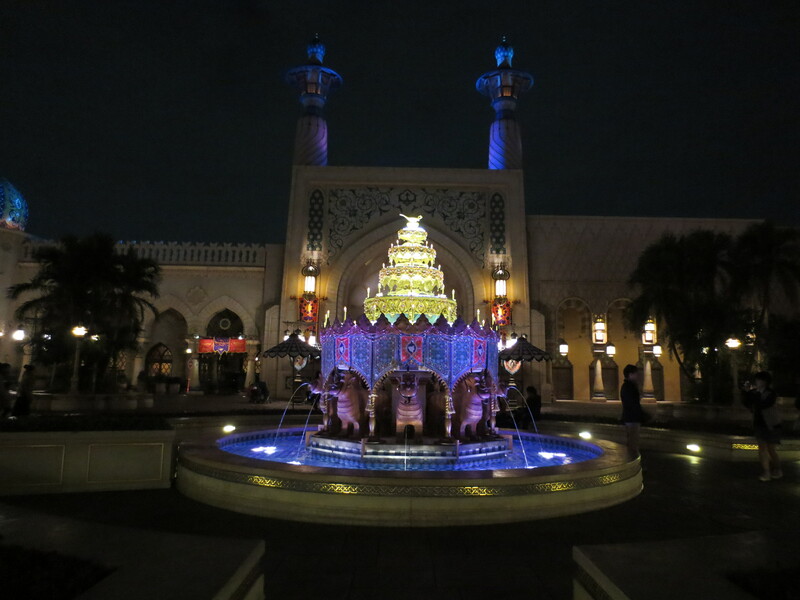 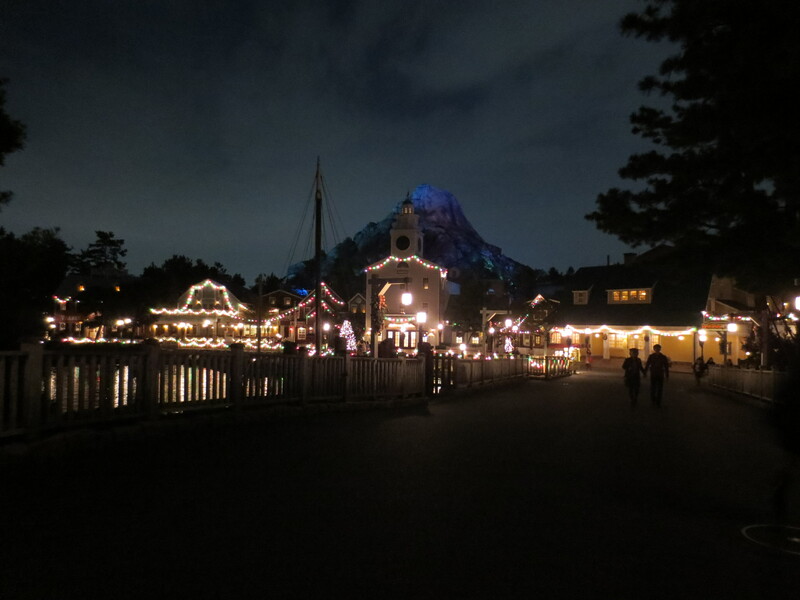 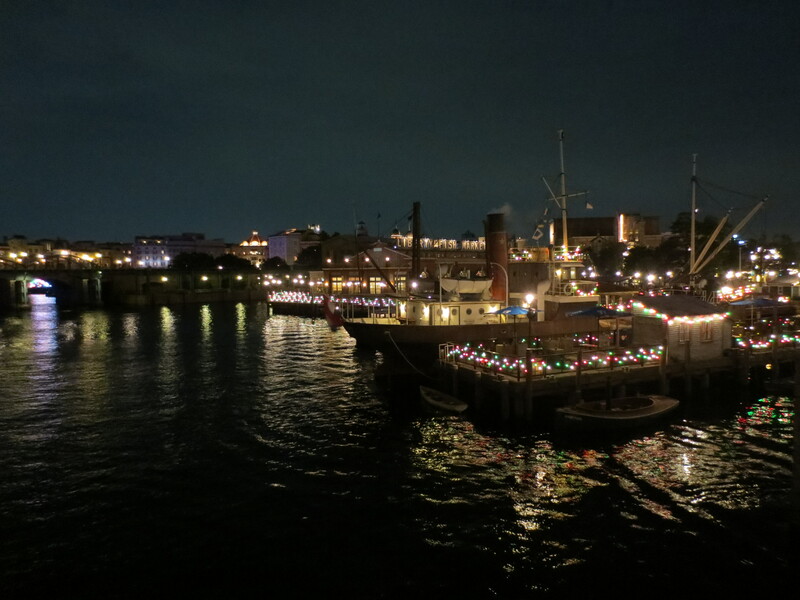 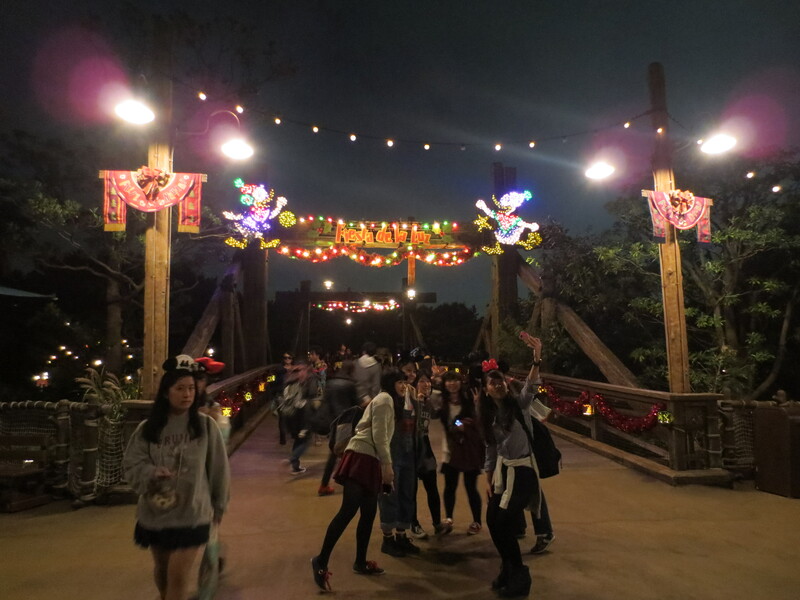 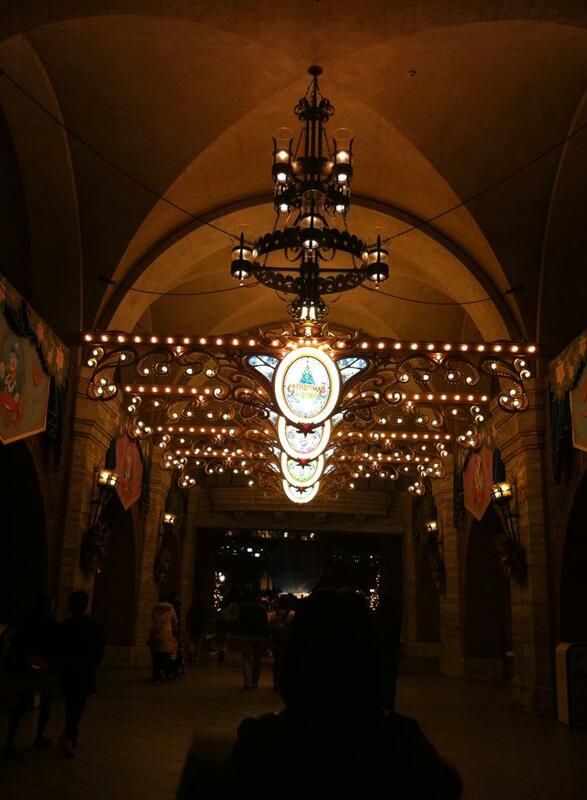 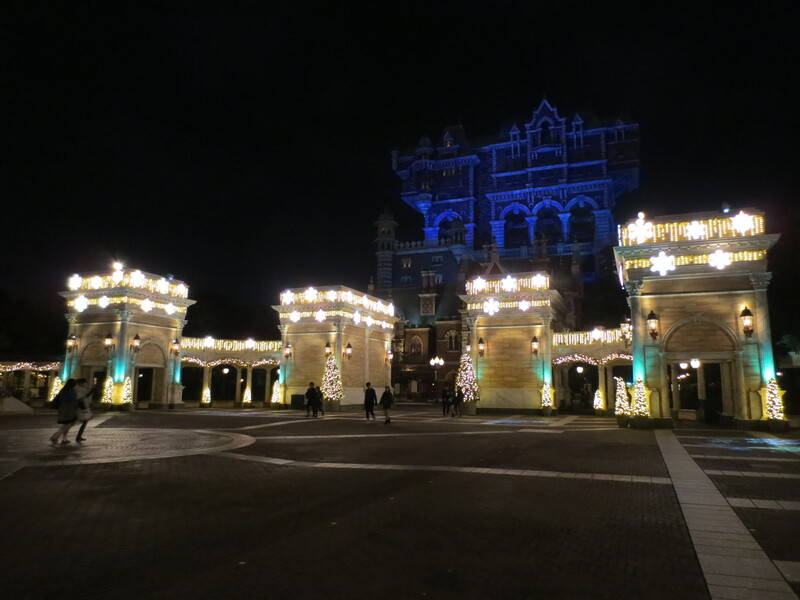 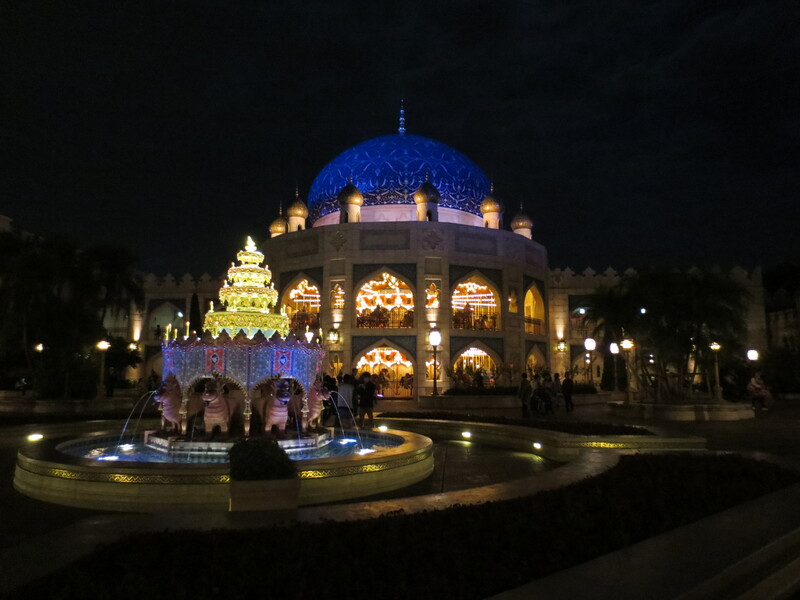 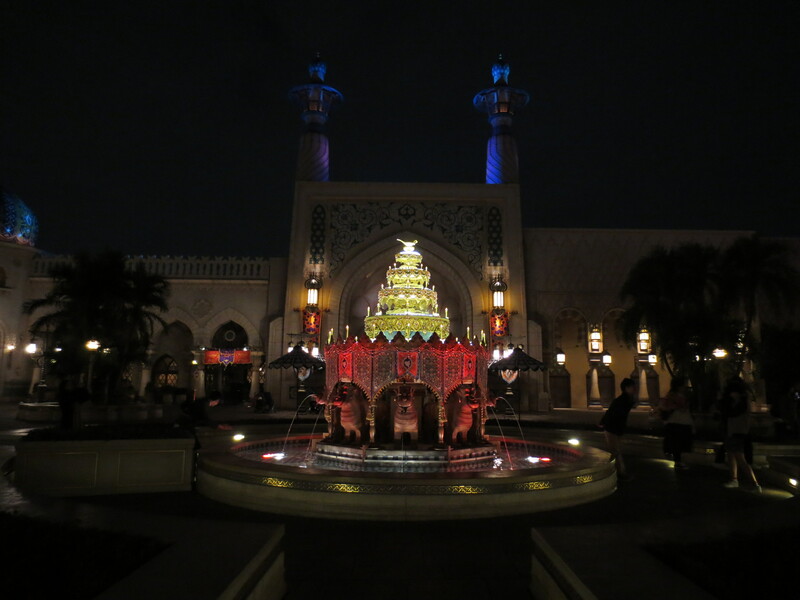 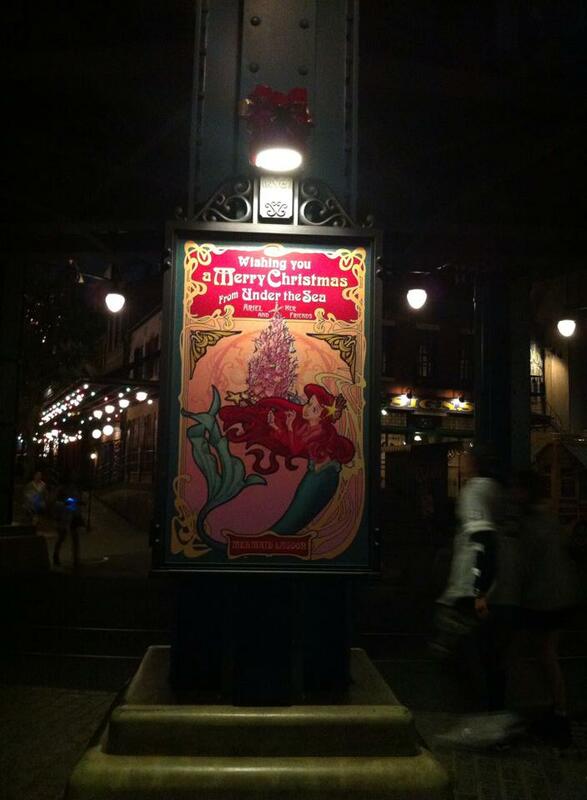 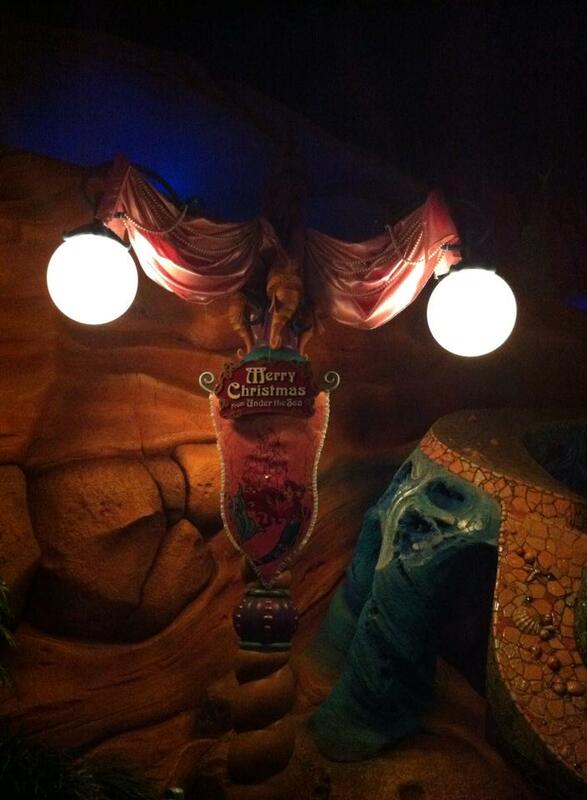 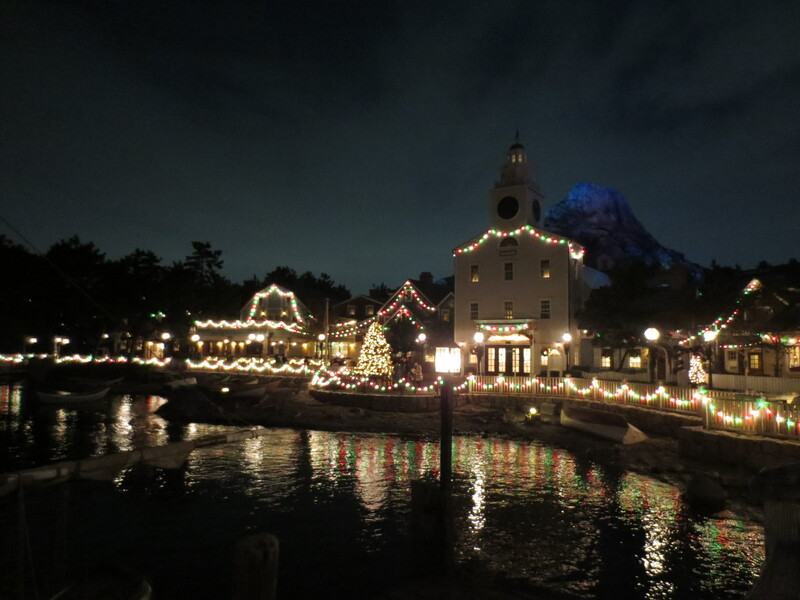 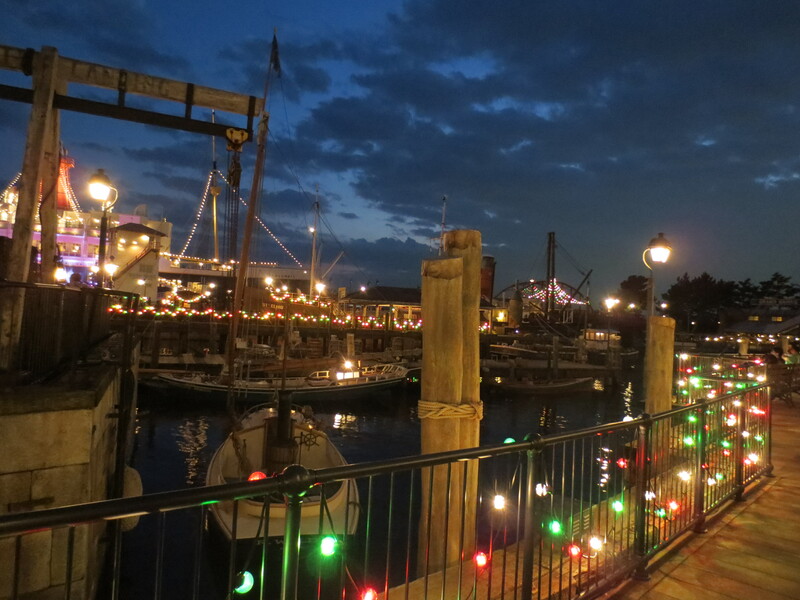 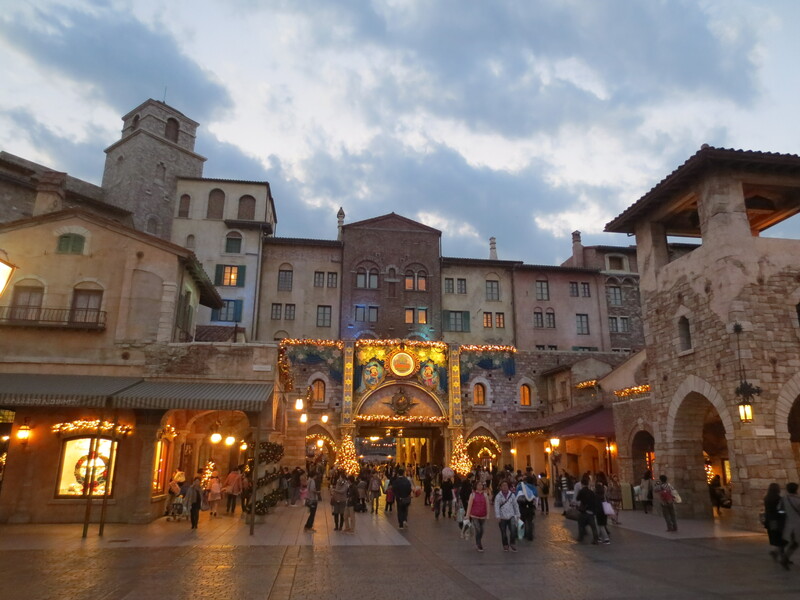 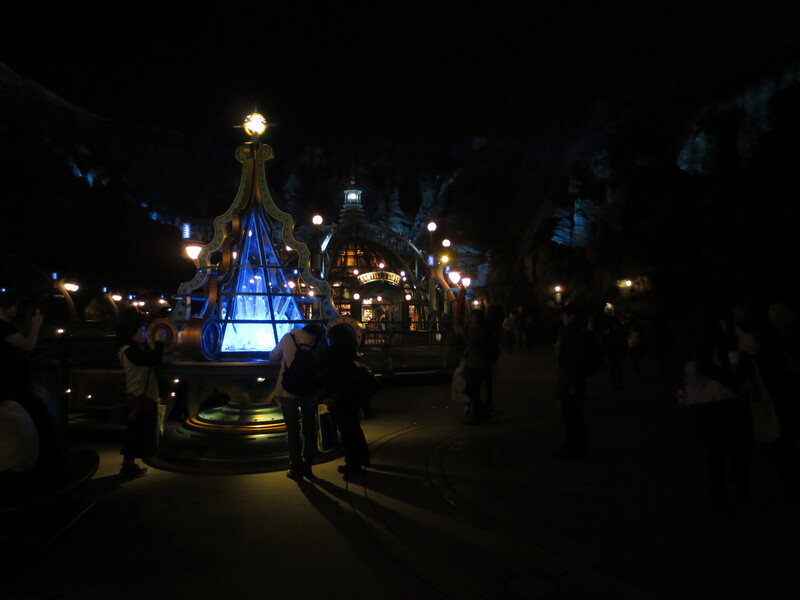 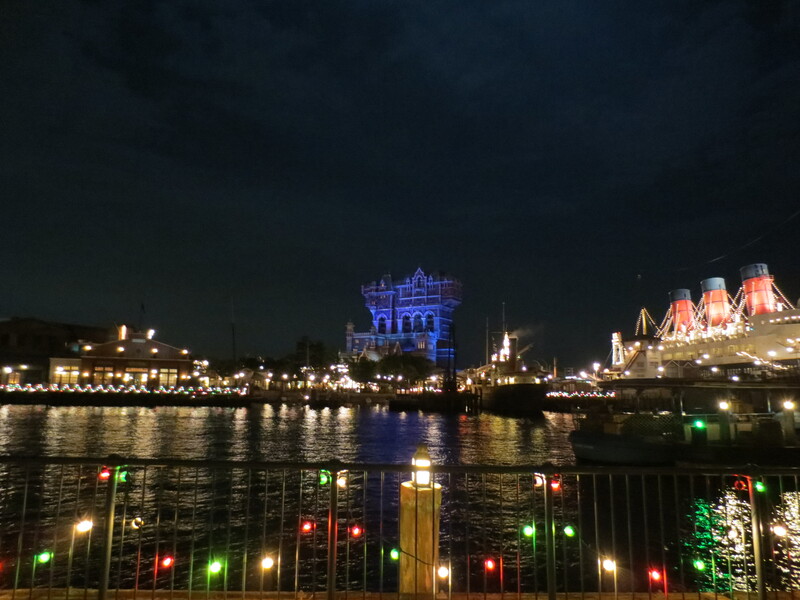 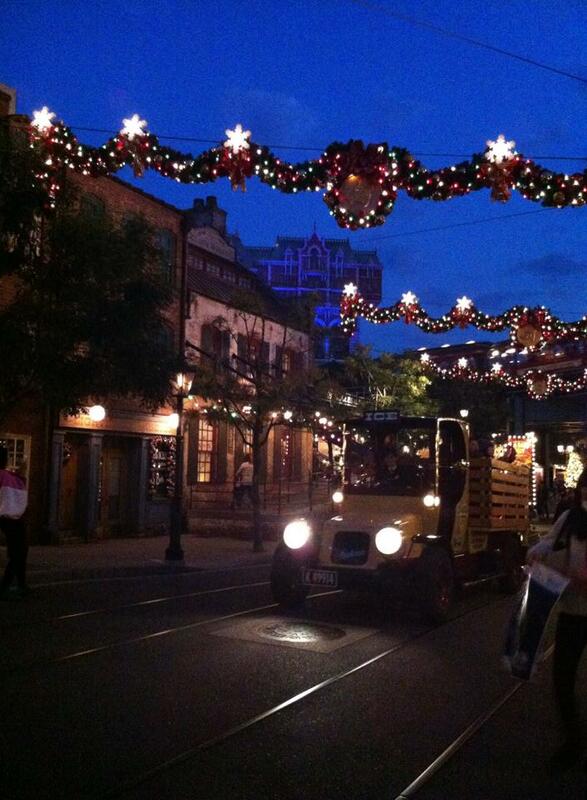 We visited both Disneyland and Disneysea on 7 November 2014, the first day of Christmas at TDR. 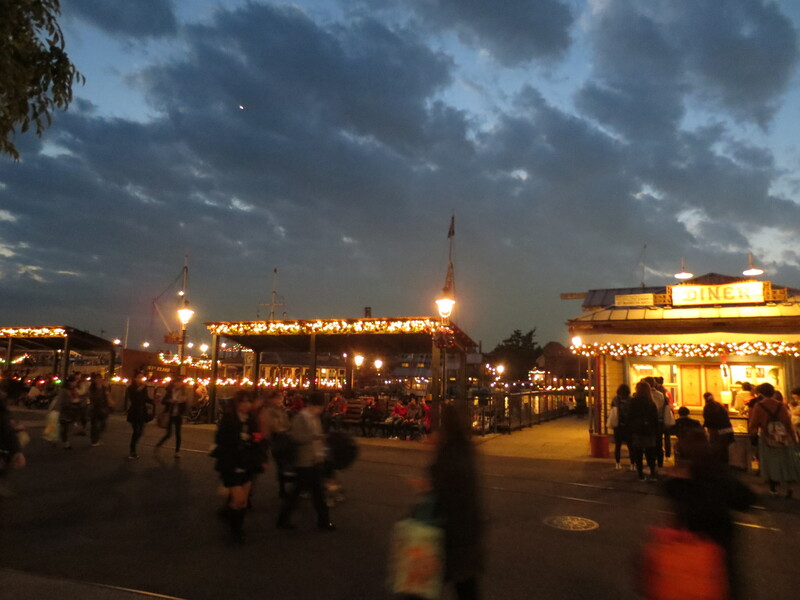 We reached Disneysea at 5pm – an hour before the cheaper twilight passes are available (and they weren’t selling the discounted 3pm passes that day). 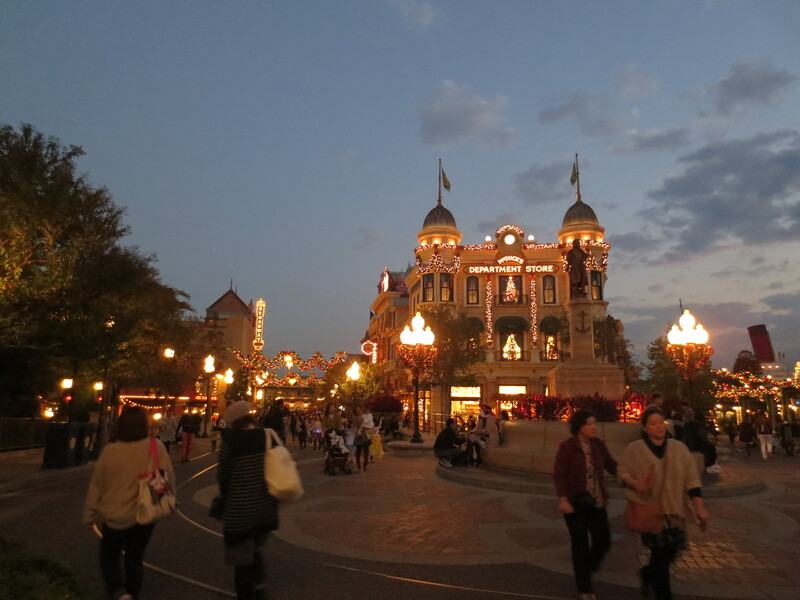 The cast member at the ticket booth suggested we wait an hour for the cheaper tickets, but knowing that we only had a few hours to do Disneysea, we went straight in. 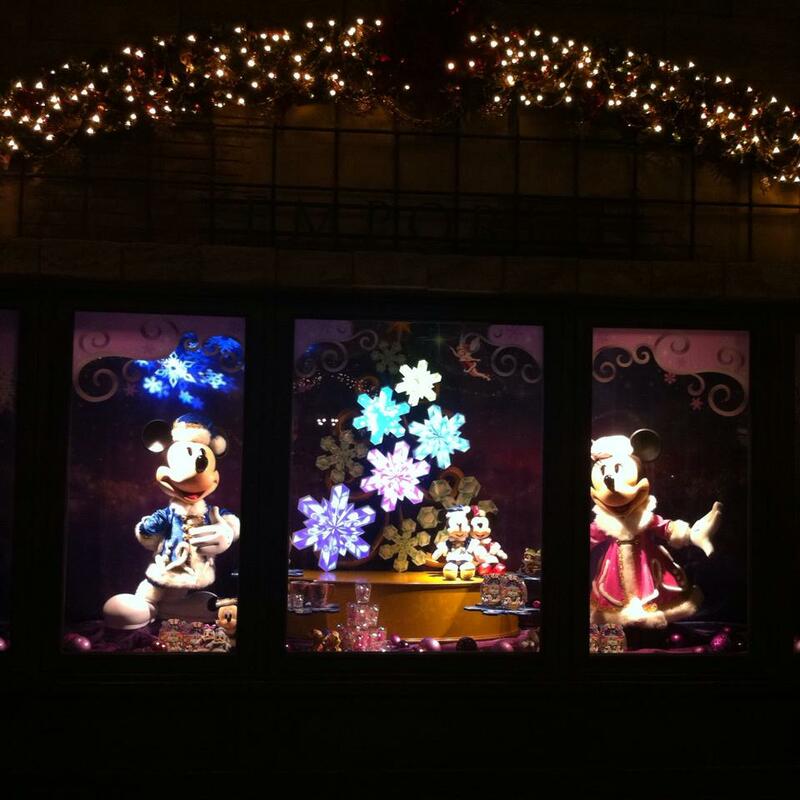 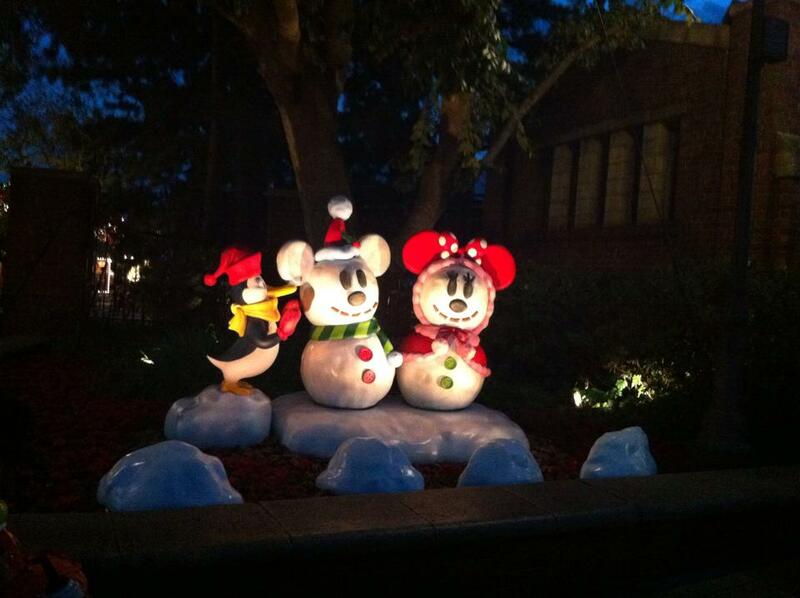 These match the Mickey and Minnie out the front of Disneyland. 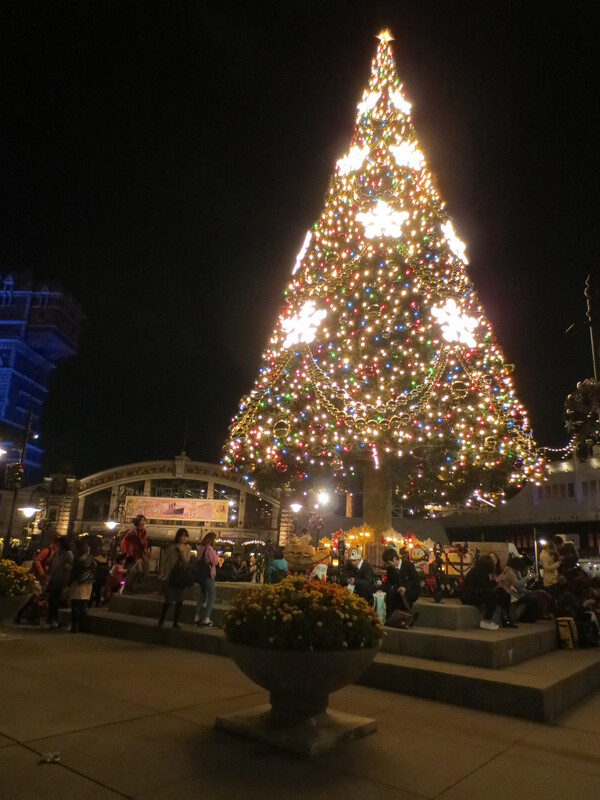 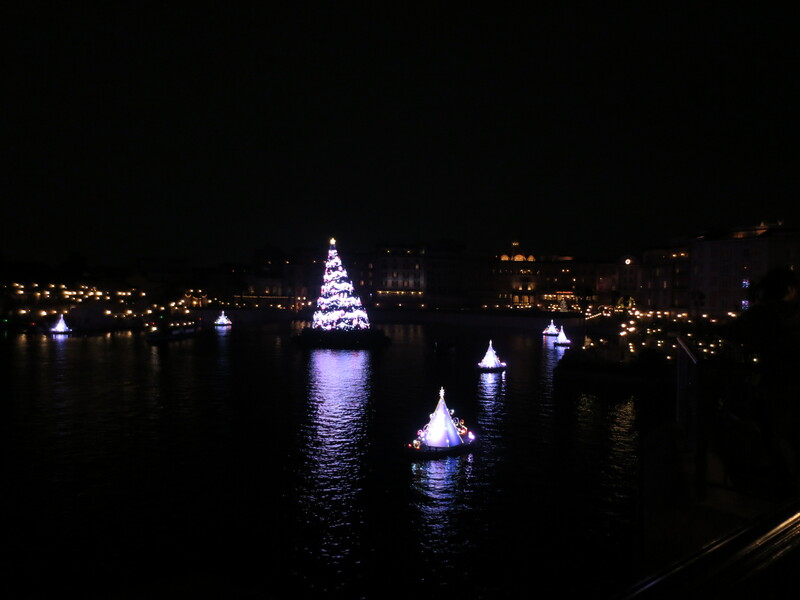 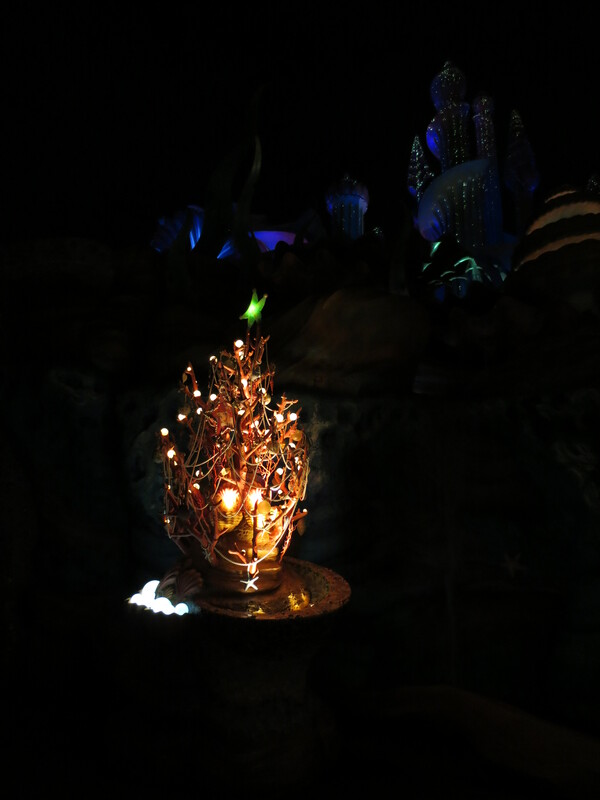 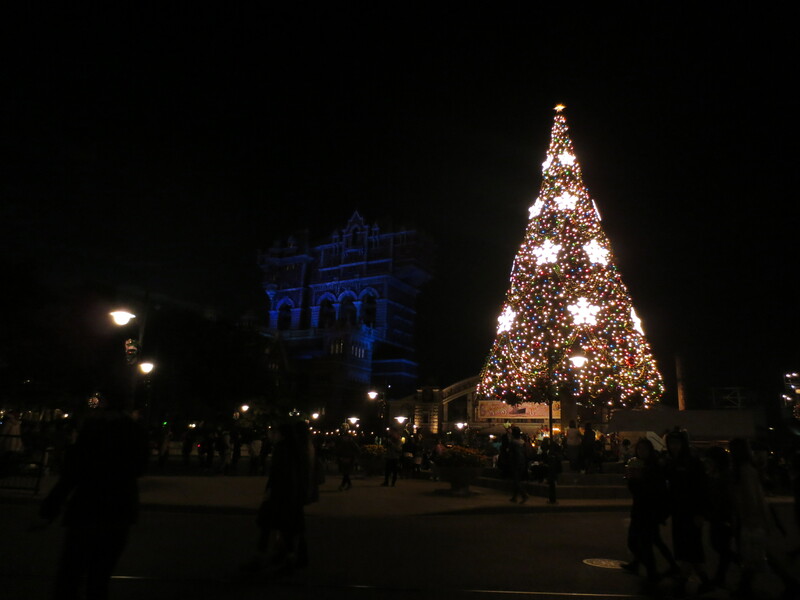 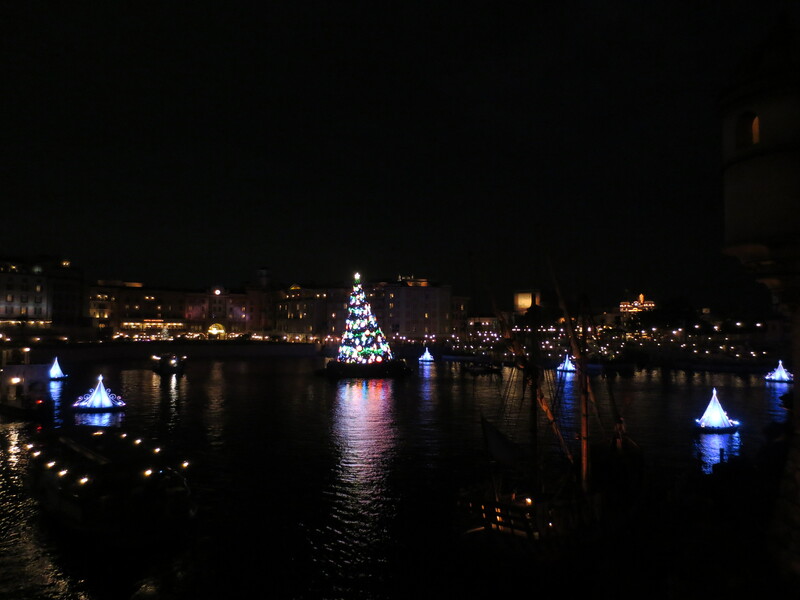 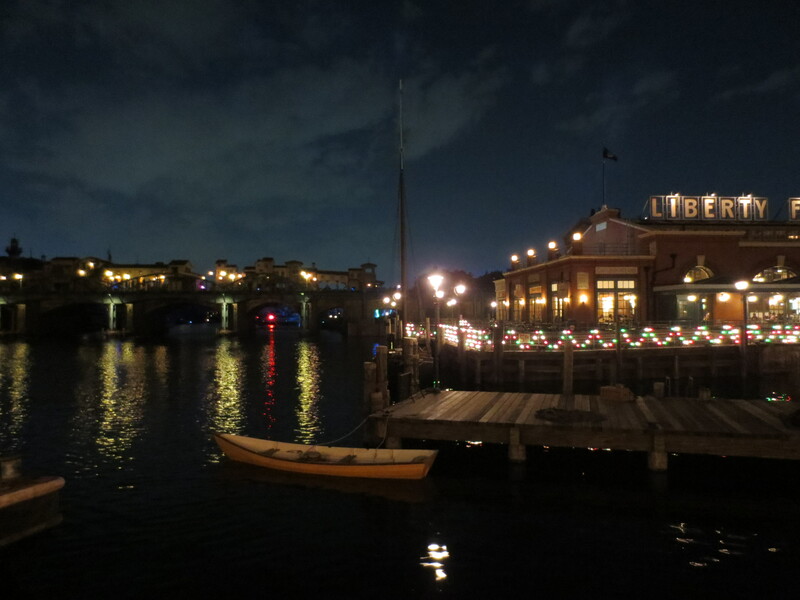 There are A LOT of Christmas trees at Disneysea. 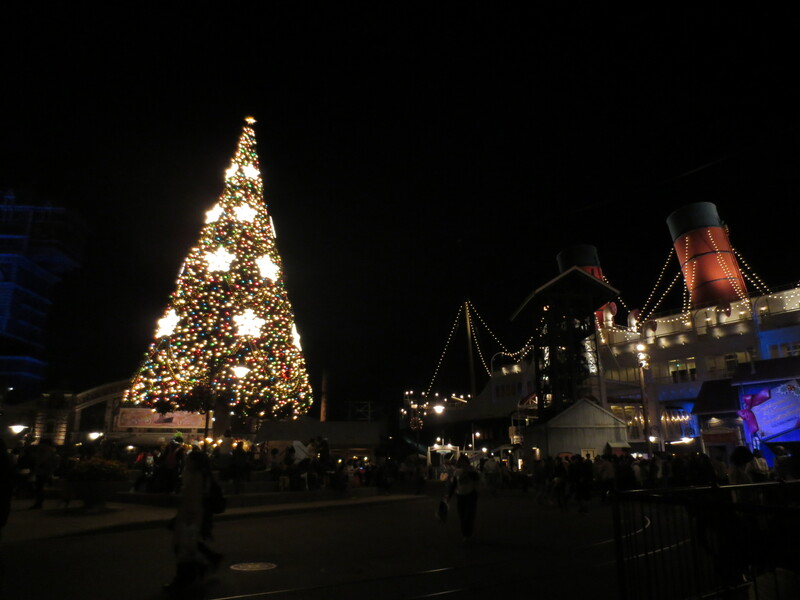 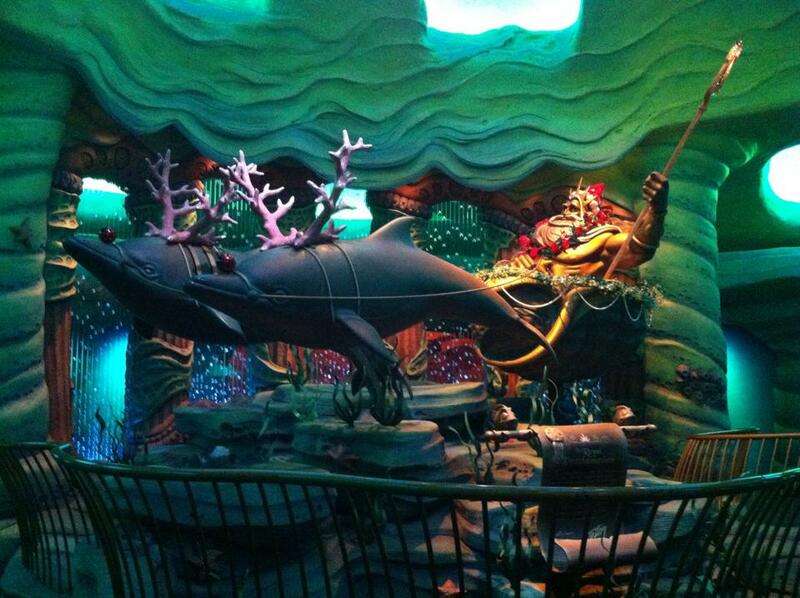 The largest one can be found in front of the SS Columbia and the Tower of Terror. 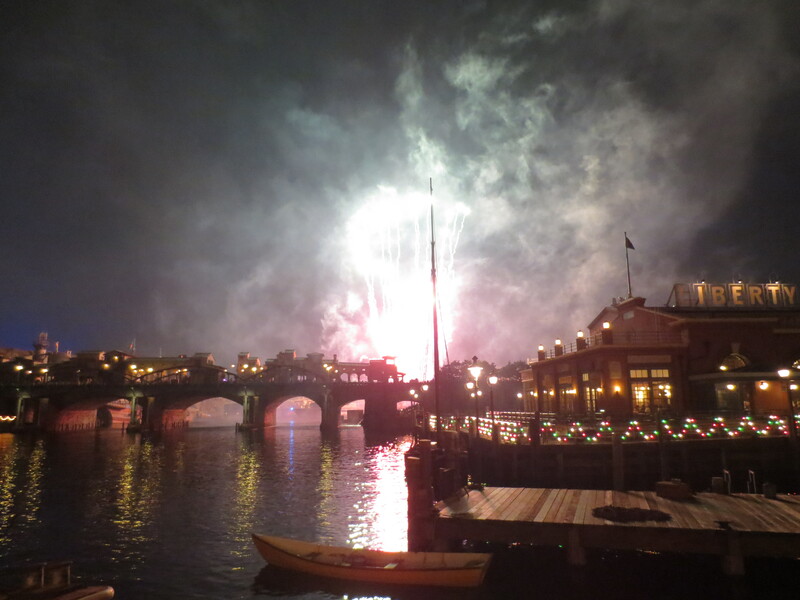 Fireworks from the first evening light/water show. 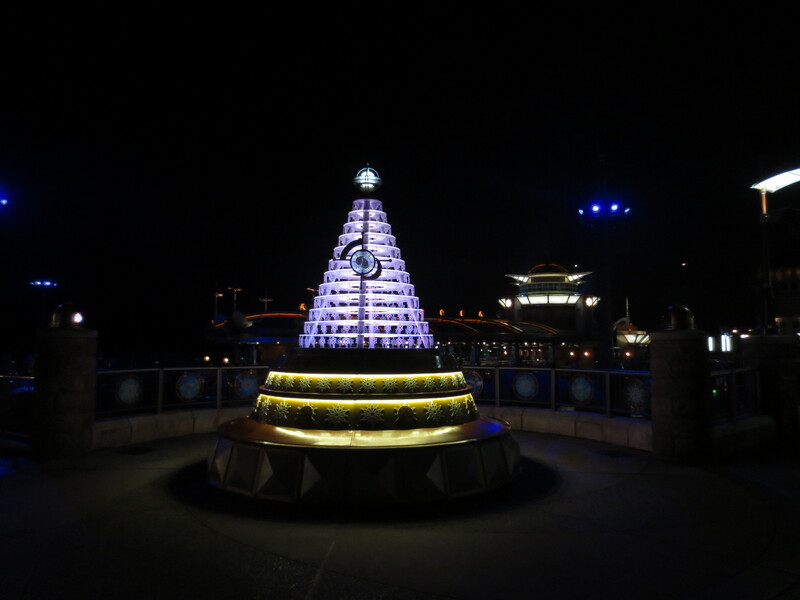 Less traditional Christmas trees to fit with the themes of different parts of the park. 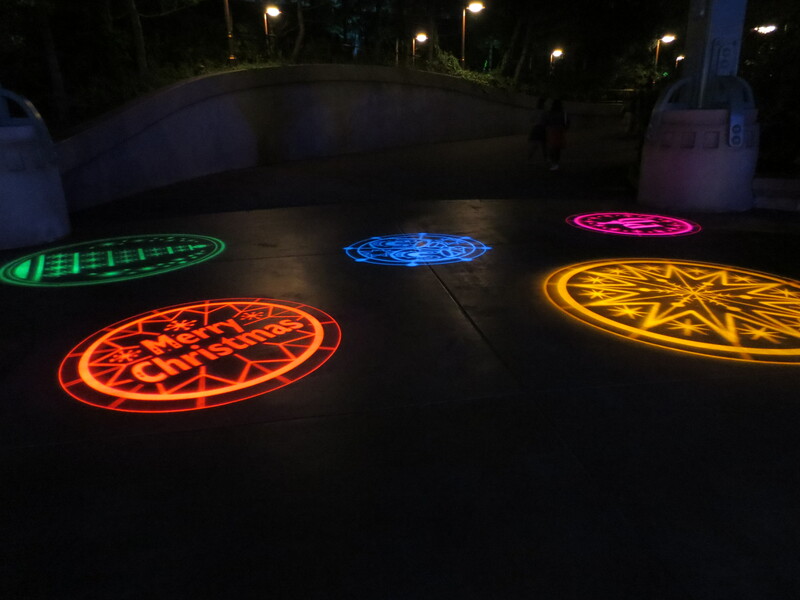 Spinning lights on the ground near Port Discovery. 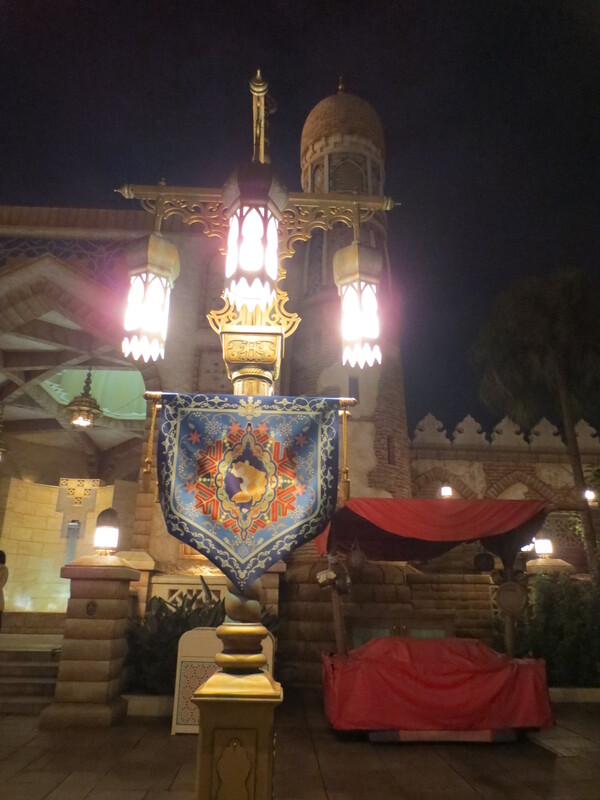 It’s not uncommon to find people taking photos whilst sitting in the middle of these. 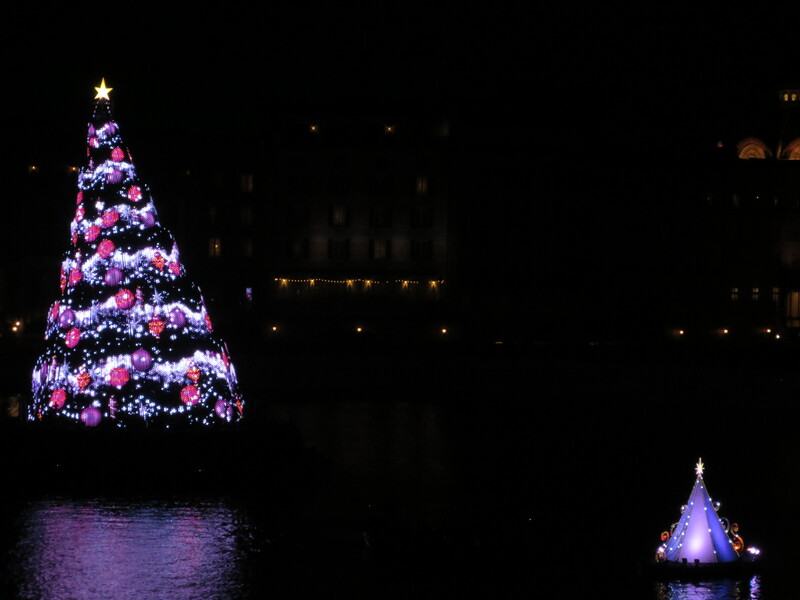 Giant floating Christmas tree from the nighttime show, Colours of Christmas (more about this in my next post). 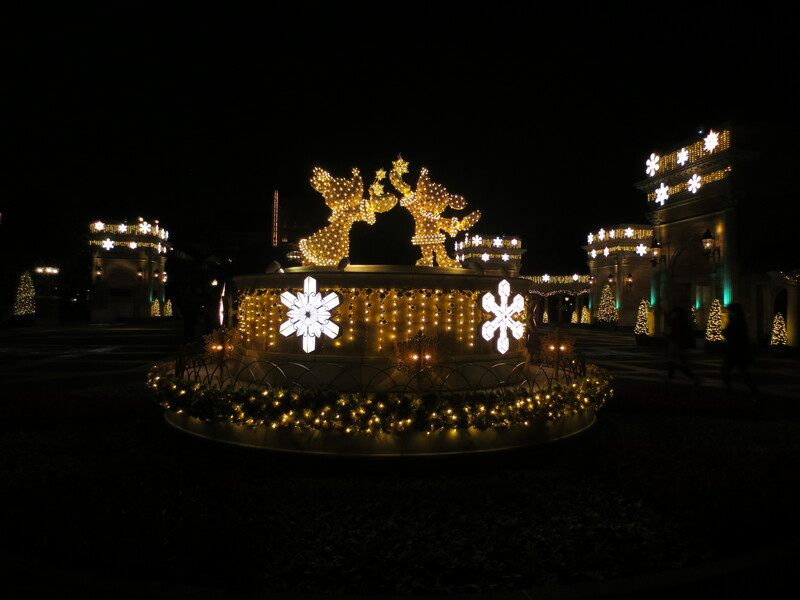 In my next post, we’ll take a look at the Christmas parades at Tokyo Disney Resort – with videos!